Bathroom sealant, also known as caulking, squeezes from a tube and is applied along showers and sinks next to walls to prevent water from seeping behind the fixtures. 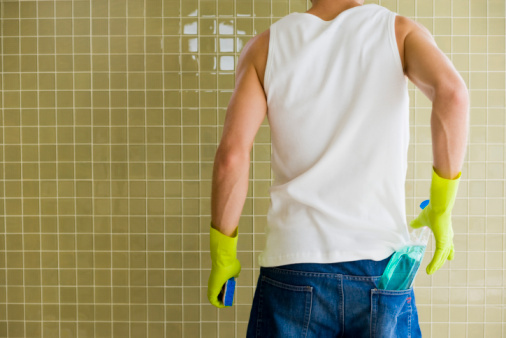 Bathroom sealants have a rubbery surface when dry, allowing mold to settle and absorb into it. 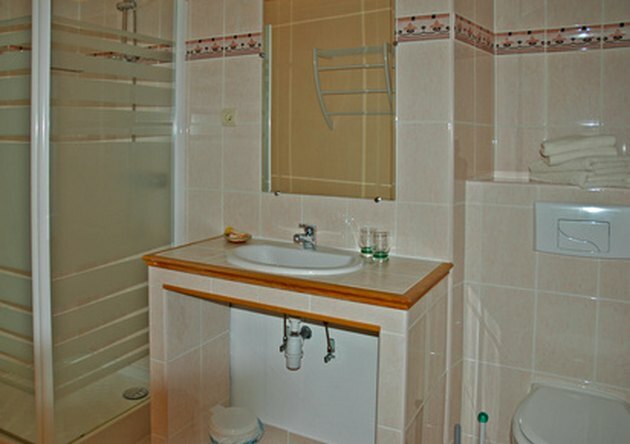 Mold forms in warm, moist environments, making bathrooms perfect areas for mold growth. Clean mold from bathroom sealants with proper tools to remove and kill the fungus. Remove mold from bathroom sealant with vinegar and baking soda. Sprinkle baking soda into 1 cup of white vinegar and stir until it forms a thick paste. Scoop 1 tsp of the baking soda paste onto a damp rag. Rub the paste into the mold on the sealant. Allow the paste to remain on the sealant for 5 minutes, giving the vinegar time to soften the mold. Scrub the paste with the rag or a stiff-bristle brush. Rinse the mold and baking soda paste from the sealant with a wet sponge and cool water. Mix one part bleach with four parts water and pour into a spray bottle. Spray the sealant with the bleach mixture. Allow the bleach to evaporate on the sealant and kill any lingering mold spores. Scrub once more with the baking soda paste if mold stains remain on the sealant. Rinse the sealant with cool water and dry with a towel.